Anyways, this is a special occasion! Space Coyote, from the amazing webcomic Saturnalia did commission art for me (it was definately worth the money!). 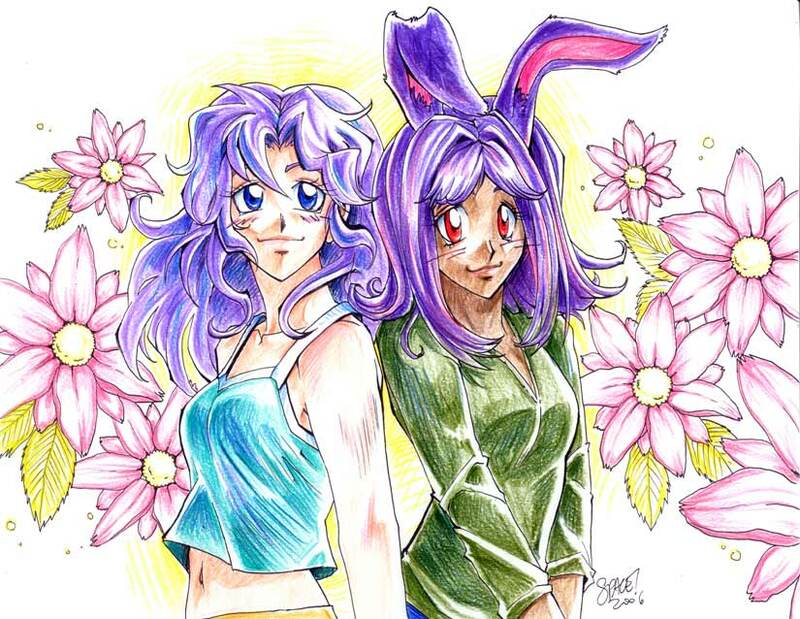 Space has drawn both Bika and my bunny girl character, quite beautifully I must add! -^_^- Hello, all. I'm your Page and Graphic designer, Terra. Read my comic Sprite Show! Bwee hee hee hee I hope you like my Site Design! January 17, 2005 - Heya! ^_^ Been a while since ya heard from me, eh? Well, I added an Archives page, but it still needs tweeking. I also added a Rants Archive to record past rants. Usagi no Mori is hosted on Comic Genesis, a free webhosting and site automation service for webcomics.